Palestinian Foreign Minister Riyad al-Malki urged Arab countries to boycott the upcoming US-led Mideast summit in Poland during a Monday radio interview with the Voice of Palestine. Insisting that the Palestinians “view the Warsaw conference as a plot against the Palestinian cause,” al-Malki suggested that at the very least, Arab countries should only send small, lower level delegations to the summit. al-Malki’s remarks come as Palestinian Authority President Mahmoud Abbas is set for an official trip to Saudi Arabia, which is scheduled to send foreign ministers to Warsaw for the talks. Set to address Middle East stability, US Secretary of State Mike Pompeo announced the February 13-14 event in Poland during his trip to Bahrain last month, and is expected to focus on Iran rather than the Palestinians. “We’ll bring together dozens of countries from all around the world. Countries will all come together to focus on Middle East stability and peace and freedom and security here in this region, and that includes an important element of making sure that Iran is not a destabilizing influence,” Pompeo said. Among those expected to attend are Israeli Prime Minister Benjamin Netanyahu, as well as US President Donald Trump senior advisers Jared Kushner and Jason Greenblatt, as well as Pompeo. Son far, Saudi Arabia and the United Arab Emirates are the only Arab countries set to attend the conference, with both slated to send foreign ministers. The Warsaw Conference is an attempt at bypassing the Arab Peace Initiative and destroying the Palestinian National project. In a statement Thursday, the Palestinian foreign ministry labelled the meeting “an American conspiracy intended to get the participants to adopt the US views on issues of the region, particularly the Palestine question”. The Palestinian foreign ministry also criticized Trump for hailing the US embassy move in his State of the Union address Tuesday. “The malicious intentions of this administration were reiterated by US President Donald Trump in his State of the Union speech to Congress in which he stressed continuing with the policy of absolute bias toward Israel,” said the statement carried on official Palestinian news agency Wafa. The Palestinians have refused to talk to the Trump administration since the US leader recognized Jerusalem as Israel’s capital in December 2017. Abbas, who met with Austrian President Alexander Van der Bellen, emphasized the need for an international peace conference. “This is where the European Union and its member States can play an important role alongside the (UN) Security Council,” Abbas said. The Trump administration has delayed multiple times the launch of a proposed Israeli-Palestinian peace plan, but Pompeo stressed last month that the long awaited Middle East peace plan efforts will begin “immediately” following the Israeli elections on April 9. “We’ve been working on this for a long time. Mr. (Jared) Kushner has been in the lead along with Jason Greenblatt in developing our program. We’ve begun to share elements of this across the region. It won’t be a US-driven process,” Pompeo said. 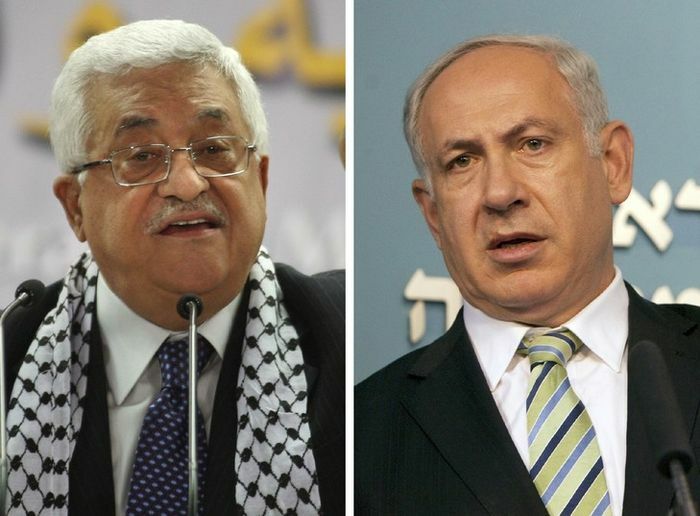 “Ultimately, the Israelis and the Palestinians will have to come to an agreement. But we think that the foundations that we have laid and the work that we’ll do immediately following the Israeli elections will set conditions where we can have a constructive conversation,” Pompeo continued.